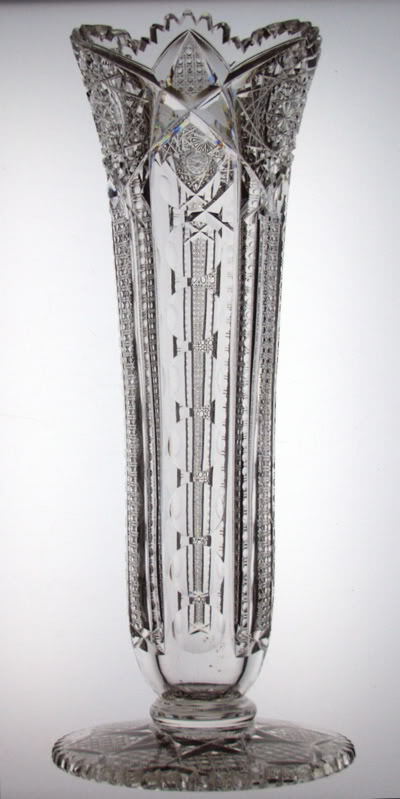 I’ve never seen another vase like this one. It has a full, pattern cut base. Normally you will see bases of a vase cut with a rayed star, or even a hobstar, but never the actual pattern. It’s truly a touch of class that is unparalleled. I have no idea who made this vase, but if I had to attribute it to one company, it would be Hoare. 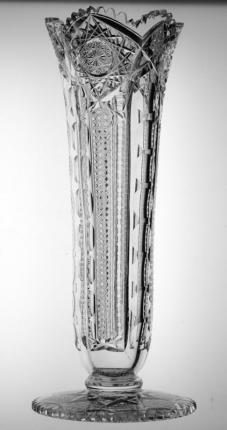 The pattern of this vase consists of large hobstars surrounded by cane and crosshatching. 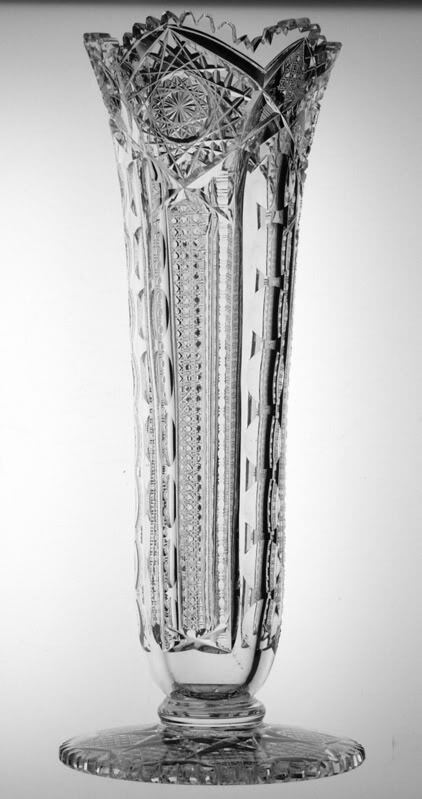 The remainder of the vase is covered in long bands of undecorated and fine cane. These bands alternate with chains of punties. 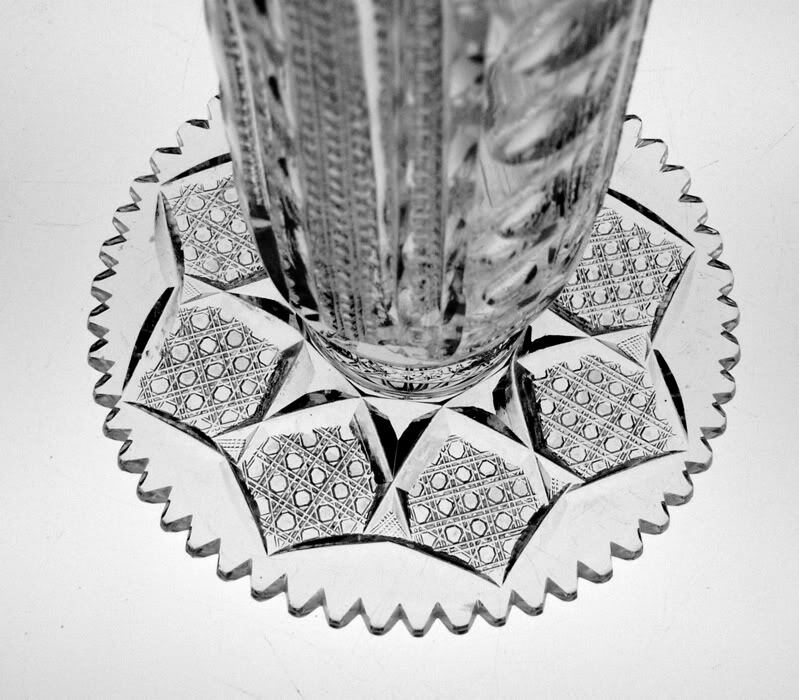 The punties really show up well with fine glass, such as the example for sale. 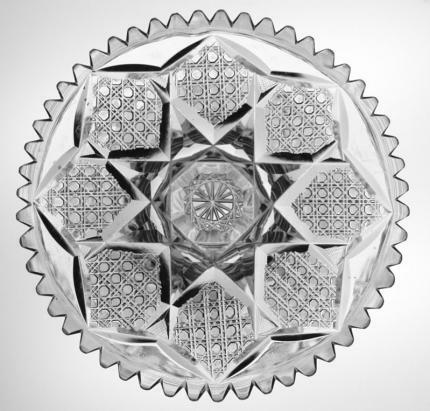 You can look through a punty and see clear through the entire vase. 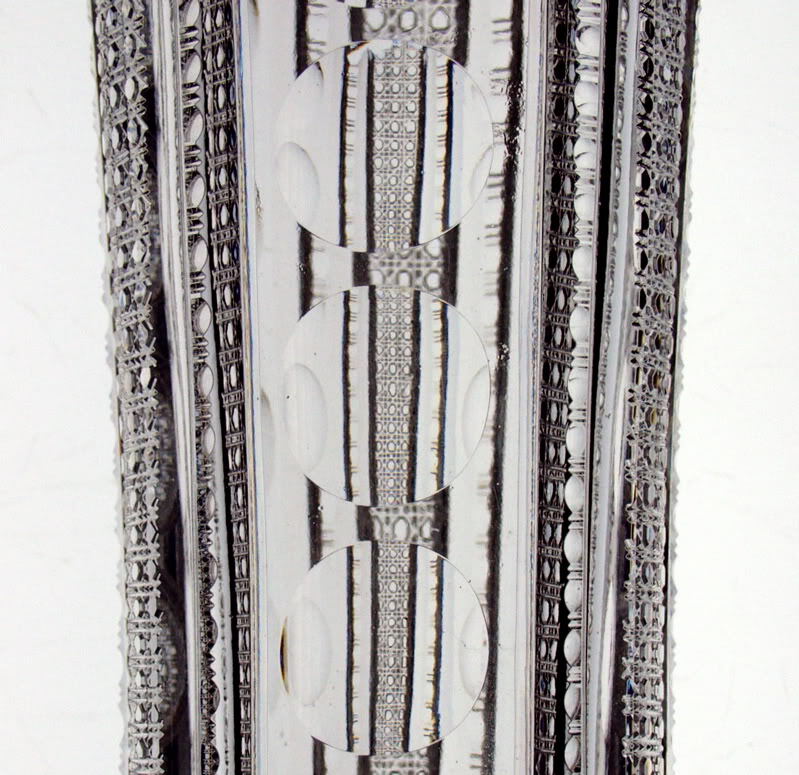 The base is really unique in that the bands of cane are continued on it and intersect in the center to form a hobstar. 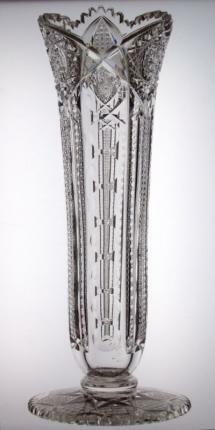 The vase is in perfect condition and measures 14″ tall, 5″diameter at the top and 6″ at the base. 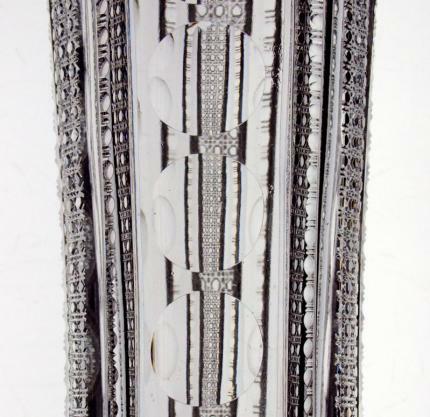 You will be hard-pressed to find many vases nicer than this one. 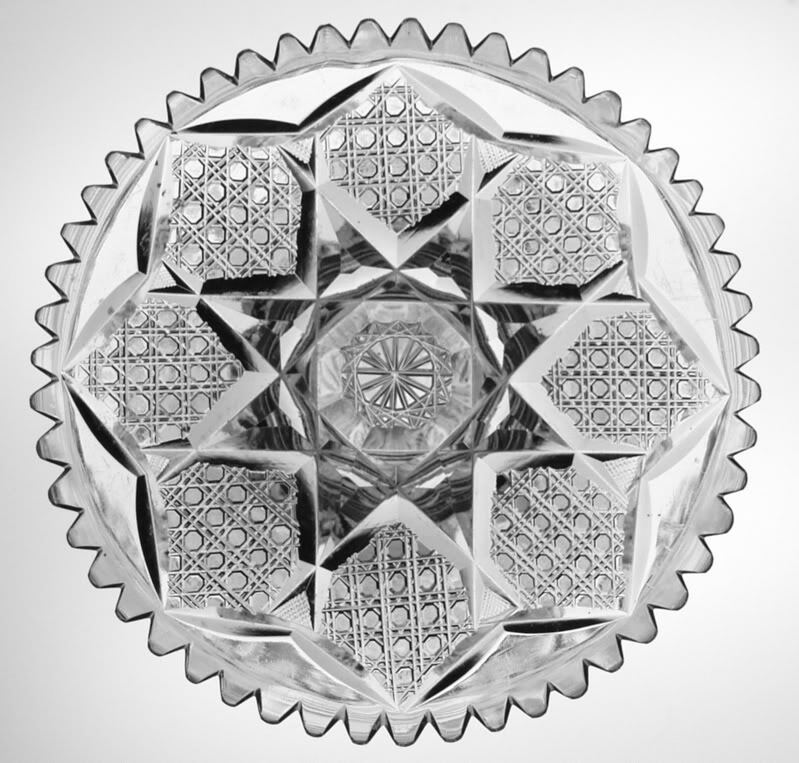 The pattern cut base and fine quality workmanship really set it apart from the pack.